Curation Consulting provides strategic communications expertise to help wellness coaches stand out in their industry and help others while doing what they love. After going through her branding workbook and chatting on the phone, there was no question that Curation Consulting had a spring brand personality. Light and bright was the name of the game. 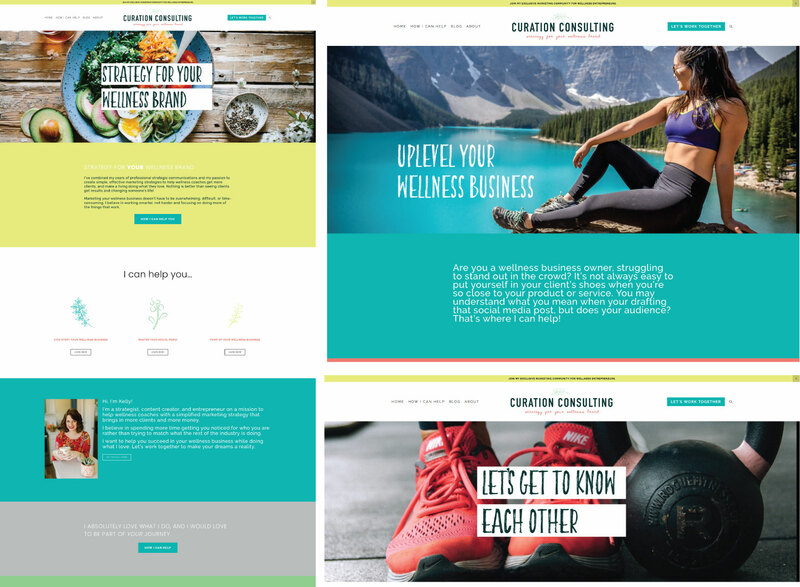 Especially with a focus on the wellness industry, we wanted to have a fresh and fun look. 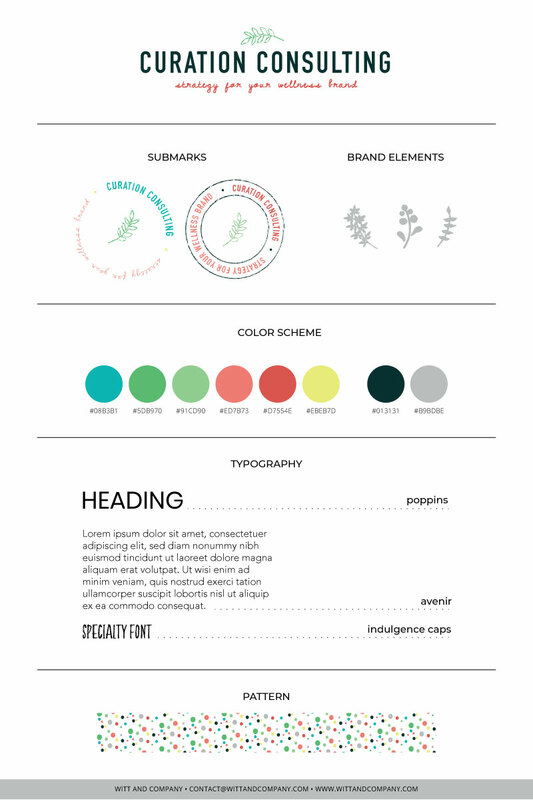 Once we nailed down her visual brand, it was time to bring it all over into the website. We really wanted to keep the feeling fresh and friendly, so the focus was on bright images with fresh ingredients and pops of color sprinkled throughout. Oh hey, I’m Kelly! A Minnesota-native who loves helping creatives + small business owners create mindful brands that build connection. I’d love to learn more about you and your business – drop me a note below to get the conversation started!